Some breast cancers are damaging bone structure to “prepare” the tissue for metastasis spread, European scientists have discovered, claiming that common osteoporosis medication can slow the process and increase survival chances for thousands. The newstudyby The Institute of Cancer Research, London, singled out that the LysYl Oxidase (LOX) enzyme released from the original malignant tumor creates holes in bone, making it more susceptible to cancer cells. 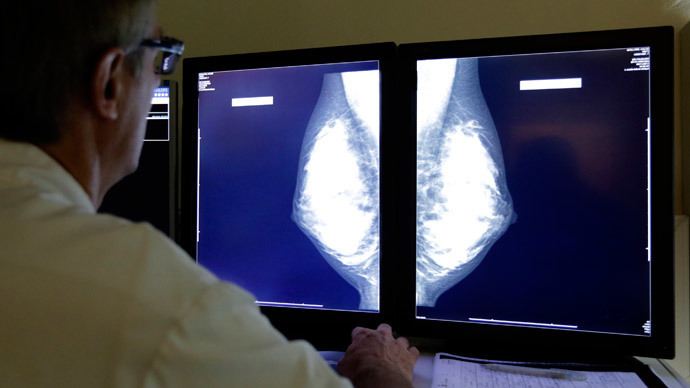 The discovery is crucial for fighting metastatic breast cancer as it tends to spread to the bone in about 85 percent of secondary breast cancer patients. Breast cancer is the most common cancer among women. Scientists believe that identifying LOX in ER negative breast cancer at an early stage of treatment could offer doctors the possibility of blocking the enzyme’s proliferation, thus preventing bone damage and the spread of metastasis, ultimately halting the progression. The study was published in the journal Nature. “This is important progress in the fight against breast cancer metastasis and these findings could lead to new treatments to stop secondary breast tumors growing in the bone, increasing the chances of survival for thousands of patients,” said a co-author of the study, Dr. Alison Gartland at the University of Sheffield's Department of Human Metabolism. Cheap drugs used in osteoporosis treatment, new research suggests could be used to save lives. Bisphosphonates class of drugs that is prescribed to prevent the loss of bone mass showed good results in mice studies. “We are really excited about our results that show breast cancer tumors send out signals to destroy the bone before cancer cells get there in order to prepare the bone for the cancer cells' arrival,” Gartland said. At the next level of research scientists hope to discover exactly how the tumor secreted LOX interacts with bone cells. This will enable the scientists to start developing new drugs.